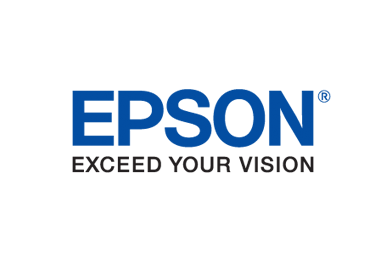 DDL supports all Toshiba, HP, Epson and Lexmark products we sell with certified, trained technicians. We offer flexible purchase options, lease and full service programs on all products and services. DDL specializes in customizing print solutions to fit the needs of your business. We start out by meeting with you and reviewing your current equipment to assess your needs. We then create a costlowering, efficient plan tailored to your office’s exact needs. We also offer refurbished equipment with replacement warranties and short-term rentals. In addition to hardware, DDL also offers software solutions in the form of secure print solutions, cloud/mobility solutions, fleet monitoring and document workflow. Technology for every office, delivering advanced functionality, ease of use and peace of mind. Every industry has unique workflow needs. Toshiba has developed customizable MFPs to make your job easier. Intuitive and smartly integrated, our products simplify complex tasks and give you control while providing the reliability Toshiba is known for. Toshiba’s latest series delivers on our promise of Together Information – our commitment to collaborate with clients in order to provide tailored, cost-effective solutions that meet your print, document management and content needs while helping you meet your green objectives. Affordable, high-quality black and white. The e-STUDIO Black and White range from Toshiba offers fast, high-quality black and white output in compacts sizes and at a sensible prices. Small and medium size businesses, from healthcare to education to finance, can now take advantage of everything Toshiba MFPs have to offer. The e-BRIDGE technology provides consistency across our family of MFPs. After you’ve learned one, you can operate many. They all use the same operability, user interface, open platform connectors, cloud and mobile printing and scanning, and management utilities as the current e-BRIDGE lineup. The series features a small footprint so it’s lightweight and also operates quietly. The black and white output is incredible, and incredibly fast. You’ll also be impressed by the enhanced image quality and razor sharp text. Keep your business productive, efficient, and moving at best-in-class speed with Toshiba thermal barcode printers. From entry level to high performance, all are easy to use. And with long lasting print heads, they are low maintenance with a low total cost of operation. Each one is designed for scalability and flexibility, so you can find the right fit for any of your business needs. Lexmark’s new generation of color and mono printers and MFPs create our brightest, sharpest, most accurate output ever. It’s color so vivid, text so clear, images so crisp . . . you’ll stop for a second look. It’s more than our brightest, sharpest, most accurate printing ever. Lexmark’s new generation of workgroup color printers and MFPs support industry-specific solutions, while bringing you new ways of saving toner, paper, packaging, energy, and steps. They can even save the day when you’re on a roll and can’t afford downtime. Unison core/shell toner—a Lexmark 700 and 800-series exclusive—is engineered for brighter, sharper color than ever before. Built-in PANTONE® calibration and embedded color sample pages help you nail perfect color at the design stage, while Lexmark Color Replacement technology combines spot color replacement and RGB replacement for precision matching of critical colors in logos and other images. Meet your most demanding output requirements with up to 55 pages per minute, and input capacity up to 6,650 pages and a 300,000-page maximum monthly duty cycle. Whilst still reducing your environmental footprint with long-life replaceable components, fast wake-up, energy-saving modes and duplex printing. The Lexmark smart MFP ecosystem isn’t a product, but a set of technologies and capabilities enabled by every Lexmark smart MFP–even the one you already own. Together with your IT infrastructure and applications, it improves the operation of everyday tasks and processes through smart capabilities. And it simplifies the challenge of managing an ever–changing business and technical environment. 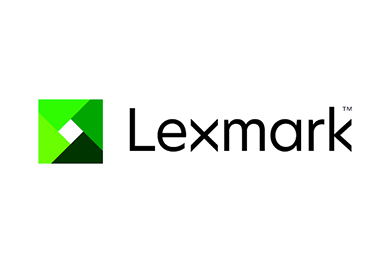 The Lexmark smart MFP ecosystem captures and moves documents directly into electronic storage, workflows or other applications to complete a process. And in many cases it can help eliminate paper altogether. Depending on your needs, these solutions can be implemented in the cloud, on a server or through “serverless” apps embedded on the smart MFP. Save up to 40% on your color cost per page, versus laser printers, while printing faster than other color MFPs in their class. So you get high performance without compromise. The secret to record-breaking speed and professional quality at lower cost is a print bar that prints across any width, however great, in a single pass. Print professional-quality color documents for the lowest total cost of ownership in its class. Advanced toner cartridge enhancements help you get the most out of your printer – legendary performance and reliability. Faster and more energy-efficient than ever, thanks to Original HP Toner cartridges with JetIntelligence. Reduce IT workload and costs, enhance employee productivity, and enable your users to help print securely wherever business demands with HP JetAdvantage Solutions. Turn jobs around in record time with market-leading technology that delivers fast print speeds. Produce AEC, CAD drawings, and high-quality photos, POP/POS, posters, canvas, backlits, banners, and event graphics. “We have partnered with DDL Business Systems for over 17 years to provide our copying and fax solutions. 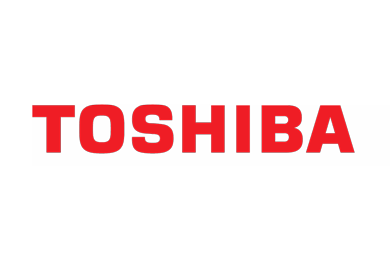 Other vendors have tried to pry our business away but they could not match the reliability and dependability of Toshiba products and DDL Business Systems support. In our book DDL is #1. They earn our loyalty each and every visit.”-Lynn M., Winchester Internal Medicine, Inc.